PrivaCare is a private duty network of senior citizen care at home in lahore pakistan. We are proud to be the nation’s leading provider of medical and non-medical elder care services at home in lahore Pakistan. Our staff provide in-home care, elder care, respite care, senior personal care, elderly care and companion care services. With our senior citizen home care services, elderly adults can continue to live independently in their own homes. Our elder care service at home in lahore is built around the concept of Interactive Caregiving®, which transforms day-to-day caregiving into opportunities for meaningful conversation and activities that engage and enrich the lives of seniors physically, mentally, socially, and emotionally. From help with meals and mobility to personal care and errands, our elder care service at home in lahore lends a helping hand while enhancing our clients’ quality of life. For seniors who have physical or cognitive impairments or who fear falling while bathing, having help maintaining a bath-time routine can postpone future decline and disability.PrivaCare’ goal is to assist our clients with their personal care routines so they can look and feel their best. Our services enhance clients’ mental and physical wellbeing, helping them feel positive about their appearance. Getting out and about offers many physical and mental health benefits to seniors, including lowering blood pressure and reducing the risk for heart problems, osteoporosis, and depression. Being active also can also help seniors improve their quality of life by controlling weight and improving sleep.PrivaCare caregivers assist clients as needed with getting from place to place to help them stay as active as possible. Our caretakers are trained to safely move clients in and out of beds, into chairs or wheelchairs, or onto toilets. Proper transferring and positioning in and out of beds and chairs can reduce the risk of bedsores, reduce weakening and stiffening of muscles, and encourage proper breathing and digestion. Seniors may feel embarrassed with needing help with toileting and incontinence care, but it is actually a common issue. When seniors don’t have help, skin infections, unpleasant odors, and general hygiene problems can be a danger.PrivaCare can help. We step in to compassionately and sensitively assess the problem and make a care plan, helping seniors maintain dignity and self-esteem as they receive help with the more personal aspects of daily living. Some seniors have difficulty feeding themselves. Others have problems with chewing and digestion, difficulty tasting and smelling, or experience a loss of appetite. 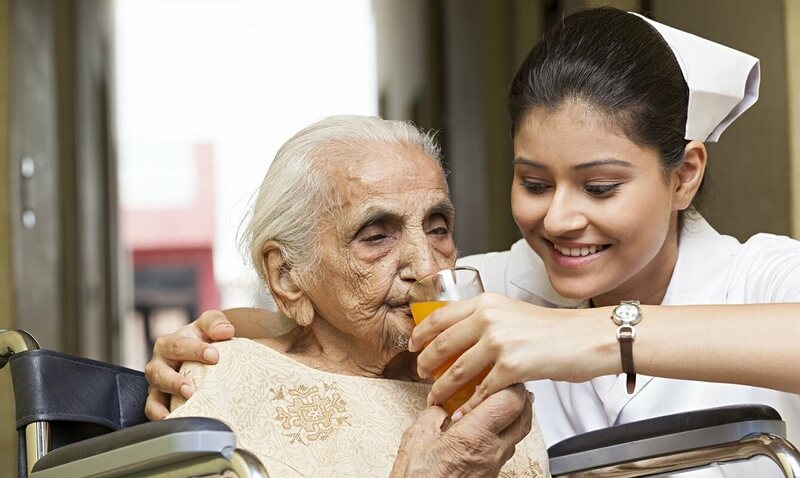 Many seniors simply do not want to eat alone.Our senior citizen care service at home in lahore pakistan, help certain clients stay on prescribed diets to prevent or control a wide variety of medical conditions like heart disease, diabetes, and osteoporosis. PrivaCare can provide a variety of elder care services at home in Lahore,Pakistan for your aging loved ones. We’ll assess their needs and create a custom care plan that can change as their needs change.